As an intensive Facebook user, I have long been fascinated with the trials and tribulations of the company which in just eight years has amassed over 1 billion monthly active users, shaped social media into an entirely new industry, and poses direct and indirect threats to some of the largest companies in the world. Facebook’s pre-IPO euphoria quickly came crashing to the ground, as investors feared about hoodie-wearing founder and CEO Mark Zuckerberg’s abilities to justify a $100 billion valuation. Despite remaining 30% below it’s IPO price, Facebook’s stock has recently staged a bullish run as diversifying revenue streams and impressive mobile ad sales have offered short-to-medium term relief, and the immediate overhanging threat of huge share expiries have past. Looking further into the future, however, I have a much more bullish view than even many of the most optimistic analysts, and will articulate why in 3 main points below (disclosure: I do not currently hold FB stock). Mark Zuckerberg’s reputation as a hacker may have put Facebook at a disadvantage on a pre-IPO roadshow, but has helped him attract some of the top engineering talent in the world. Facebook’s hacker-culture has helped drive innovation after innovation in an unbelievably short amount of time, and their ability to constantly iterate and improve products at speed is crucial in any industry, but none more so than consumer tech. Even Facebook were initially caught out by the rapid migration of consumers to mobile, but they have since rectified this misstep: in the 7 months since the IPO, Facebook have built 2 new native mobile apps from scratch, reimagined the photo-browsing experience, launched Facebook Gifts, announced a messenger app that doesn’t require a Facebook account, and built an App center that is beginning to rival Google Play and even iTunes. Facebook’s business model has pivoted to become much more mobile-oriented, with Sponsored Stories for Mobile already a billion dollar revenue stream, and Promoted Posts helping generate sales from new customers such as small businesses and users. The introduction of Photosync effectively takes Facebook into the Cloud storage business, with huge revenue generating opportunities to be found there, and just yesterday Facebook announced the major upgrade of Nearby, the local discovery engine many are touting as a potential Yelp and Foursquare killer. With the vast amount of talent working out of Menlo Park, and a culture that emphasizes “done is better than perfect” (it’s even painted on their walls), new innovations are a daily occurrence at Facebook, and many more can be expected in days, months and years to come. While any comparisons to MySpace are surely now redundant when describing Facebook, I can safely say that Facebook will not be following any similar route in the near future. The Facebook API is now truly embedded into the depths of the Internet, a move that has made users’ online lives easier to manage by an order of magnitude, but a move that immensely raises the switching costs of leaving Facebook for another social network. I browsed Account settings to see how many Apps I have allowed to utilize my social graph, and was shocked to find 76 different applications. I could broadly split these apps into four different categories: apps where it is important to connect to friends (Zynga games, SnapChat etc…), apps that utilize my Facebook photos (Instagram, iPhoto, Twitter, ThisLife), apps which use Facebook integration to offer an online representation of who I am to others (AirBnB, Couchsurfing), and apps where Facebook offers an easy, one-click login (WordPress, Prezi, DropBox, The Guardian). This deep integration of Facebook into the user’s online life is giving Facebook a huge opportunity that no other company has ever achieved: the prospect of Facebook acting as the unique online identity for anyone and everyone around the world, a 21st century equivalent of a phone number. Facebook’s recent announcement of offering VOIP social calling in partnership with Orange is the first of many similar deals we are likely to see in the future. This deal allows Facebook users to call their friends, even if they don’t have their mobile number. Such a strategic move could pose huge threats to current VOIP offerings such as Skype and Viber, and even threaten larger telecommunication companies. If Facebook can become the unique identity for all web users, the opportunities are almost limitless, though one possible first step could be a mobile platform to challenge Android. 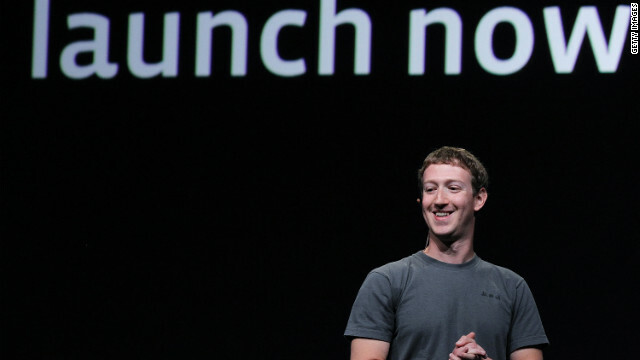 Is Facebook about to take on Google in Search? Talking of challenging Google, when Mark Zuckerberg spoke at TechCrunch Disrupt in September, investors were left salivating over the prospect of Facebook entering the Search arena to take on the incumbent Googlopoly. While Zuckerberg was coy about how developed any Facebook search efforts were, the prospect of a fully-fledged Facebook search engine is the modern day equivalent El Dorado for those seeking riches. With their terabytes upon terabytes of user data inaccessible to all competitors, a Facebook search engine would have an insurmountable competitive advantage over Google, Bing, and any other company foolish enough to challenge it. The reason a search engine is so appealing to investors? When a user performs a search, they are looking for an answer and so are happy to click on adverts; quite the opposite of the annoyance adverts cause as Facebook users aim to scroll through their newsfeed, consuming content from friends, engaging in heated discussions about politics or procrastinating from work. It is unlikely that Facebook would ever release a search engine equivalent to Google’s however due to the evolving nature of search, as Zuckerberg himself pointed out when asked to comment. With Google offering more and more semantic searches (giving you the answer rather than just the links to the answer), and Bing attempting a different approach with their Social Sidebar, it is clear that the future of Search does not lie in endless links to mostly irrelevant webpages. One of the real possibilities I believe Facebook has is to incorporate the traditional Q&A style search engine into their own, conversational style of content consumption. A recent TechCrunch article claimed that Quora’s lack of success (relative to Facebook and Twitter) is because “it’s sheer human nature to prefer conversation to answers,” and this lead me to my conclusion that if Facebook can offer an appealing search alternative to Google, the Mountain View company may have to rely on making money in the auto-industry, because Facebook would be unstoppable. Facebook will continue to expand it’s user base, and those users will continue to share more and more along the lines of the Zuckerberg’s Law. It is the 3 main points above, however, that will justify, Facebook’s $100 billion valuation, and send them well on their way to $200 billion. Threats do exist, especially if Google or Apple were to acquire Twitter, but Zuck and his team of hackers look like good value for me in 2013 and beyond. Let me know if you agree, I’d love to hear your opinions!! Update: Facebook have vindicated my comment about the speed of their innovations, by announcing a standalone impermanent photo messaging app that will compete with Snapchat, the very same day as the upgrade to Nearby goes live.